Who has a shot at the Lombardi Trophy? It’s finally time to get to the cream of the crop. After three previews traversing the league’s pretenders, we’re finishing up our NFL preview today by looking at the contenders. Today, we analyze the eight teams we expect will compete for this year’s Lombardi Trophy. While our previous dispatches haven’t ranked the teams in any discernible order, this fourth edition of our preview will list the Super Bowl contenders in reverse order of their chances to be celebrating in Indianapolis this February. Of course, chances are that we’ll be wrong. Even the biggest favorite for the Super Bowl, according to the betting markets, will win just 15.8 percent of the time. And that’s in a fair world. The excellent Doug Drinen did a study at pro-football-reference.com that simulated a season in which we knew the actual true talent level of each team in the league 10,000 times. The best team in the league — remember, the actual team that we definitively knew was intrinsically the best team in football — won the Super Bowl only 24 percent of the time. One of the three best teams in the league claimed the trophy more than 50 percent of the time, but there was actually one simulation in 10,000 in which the worst team in football won the Super Bowl. So while the odds are against us picking the right team, there’s no shame in coming pretty close. And if you’re still trying to find your own favorite to back for this upcoming NFL season, the information herein should hopefully help you on your way. Tomorrow, we’ll finish up the NFL preview by talking about the bets I placed on certain teams and players during the preseason, so the public can track just how naive I was and how destitute I get during the season. For each team in this piece, we’ll note its odds of winning the Super Bowl per the lines at pinnaclesports.com. At this juncture, the Patriots are the market favorite to win the big game in Indianapolis this year, as that betting line above translates into the aforementioned 15.8 percent probability of taking it all the way in 2011. Bill Barnwell delivers his all-purpose 2011 NFL preview on each franchise from what’s going right to what’s going wrong and every scenario in between. Part III: Which teams are set to improve? Part IV: Which teams have a shot at the title? Despite their recent struggles in the playoffs, it’s not surprising that the Patriots would be at or near the top of the heap; if there’s a “safe” team to bet on in the current marketplace, it’s the Patriots. They have the sort of stability that risk-averse bettors would go for in this weird, post-lockout world. The Patriots will return virtually all of their starters from last season, and, outside of retired guard Stephen Neal, the ones who moved on only left because the Patriots cut them. They’ll run the same scheme on offense, and while the defense will give more 4-3 looks after the acquisition of Albert Haynesworth than it has in the past, the best word to characterize the Patriots’ myriad defensive fronts is still “hybrid.” Bill Belichick’s still capable of pulling out a pressure you’ve never seen before on one play and following it with a front that you haven’t seen on film in 40 years on the next. So why are the Patriots eighth on our list when they’re first in the hearts of bettors? Well, they went 14-2 last season before the Jets stifled them in the playoffs, and that’s almost surely not going to happen again. Too many unsustainable things had to go right for the Pats to get to 14-2, and when they regress back toward the mean in 2011, New England isn’t going to look like the best team in football anymore. It’s time to bring back those famous buzzwords from the first three parts of our preview. Remember when we explained the Pythagorean expectation? If you missed it, the Pythagorean expectation holds that a team’s win-loss record in the future is better predicted by its point differential than by its win-loss record in the past, something which has been historically true. We mentioned that the Colts and Peyton Manning have been able to elude the Pythagorean piper for nine consecutive seasons, but the Patriots have had no such luck. While New England actually went 14-2 last season, its point differential pointed to a team that should have won 12.3 games. Part of that was due to its 4-0 record in games decided by a touchdown or less, which is only the second time in Tom Brady’s career that his team has avoided losing a single game in a given season by a touchdown or less. While the Patriots routinely exceeded their Pythagorean differential during the Super Bowl years and have followed Brady to a 37-15 record in games decided by a touchdown or less, they’re not immune to its regression toward league average. In 2009, the Patriots underperformed in both these categories. While they went 10-6, their point differential pointed to a team that should have won 11.6 games, and they were a disappointing 3-5 in games decided by one score or less. Conveniently, there’s one aspect of the Patriots’ performance in 2010 that was both incredibly valuable and incredibly unlikely to remain at such a high level in 2011: Turnovers. Last season, the Patriots had a turnover margin of +28, which was the best figure in the league by 11 full turnovers. Second-place Pittsburgh was at +17, and the Steelers were closer to 10th place than they were to first. It was the most exaggerated turnover margin recorded by a team in 27 years, as the 1983 Redskins set an NFL record by recording 43 more takeaways than turnovers. In the following season, the Redskins fell to +15; still good enough to be fourth-best in the league, but not anything resembling what they’d done the previous season. For the broader picture, consider the 31 teams from 1990 to 2009 that put up a turnover differential of +15 or greater. In the subsequent season, their margin fell by an average of 13 turnovers. Only one team was able to sustain a differential above +15 for consecutive seasons: the 2000 and 2001 Buccaneers (who actually then did it for a third consecutive season before falling to the pack). What the Patriots did last year just isn’t a sustainable act. And yes, we’re even going to take down Tom Brady. During his stunning MVP campaign last season, Brady famously threw just four interceptions in 492 dropbacks, producing an obscene interception rate of 0.8 percent. That was the second-lowest rate for a passer in NFL history, and there’s no way Brady will be able to repeat it. You can look at the record books yourself. Although there are one or two seasons from most of the great passers you would expect up there, nobody sustains an interception rate below even 2 percent from year to year, let alone that ridiculous 0.8 percent figure. Even if we assume Brady dips below his career average again and hits an even 2 percent in the same number of attempts, that would be 10 picks. Assuming he throws more frequently (since the Patriots ran a league-low 158 meaningful drives last season against a league average of 182.6), Brady could creep up toward 15 interceptions and it wouldn’t be anything extraordinary. Just simple regression toward the mean. Those interceptions are going to put that defense in short fields, and when the Patriots aren’t able to force turnovers at a historically high rate, they’re going to keep allowing points. That will end up being New England’s downfall as the season goes along, and it’ll keep them out of the Super Bowl. While they were listed as prime Super Bowl contenders before the season in just about every publication and poll imaginable, 2010 simply got away from the Cowboys. Before the season started, Dallas had been a very reasonable 12-9 in games decided by a touchdown or less with Tony Romo at quarterback. They started 2010, of course, by losing that Sunday Night game to the Redskins, and the close defeats kept coming. After Michael Boley cleaved apart Romo’s collarbone with a hit in Week 7, the Cowboys trudged off the field with a 1-5 record. Incredibly, each of their five losses had been by a touchdown or less. After blowout losses to the Jaguars and Packers, they lost by three to the Saints on Thanksgiving night, leaving them 0-6 in games decided by a touchdown or less. Only four teams in the past 28 years have gone winless in six or more of those close games without winning one by the end of the season. Sure enough, it started to regress. They went 3-2 in their final five games, each of which was decided by no more than a field goal. In all, they finished the year at a disappointing 3-8 in those games. Only one other team since 1983 has had a similar record, so let’s look at it a different way to figure out what to expect from the Cowboys in 2011. Three wins in 11 games is a .273 winning percentage. Since 1983, 53 teams have put up a winning percentage between .250 and .300 in close games in a given season. Their combined record in these games was 105-277. In the following season, those teams promptly went 199-206 in games decided by a touchdown or less. Their winning percentage improved from .274 to just under 50 percent. Forgive us for hammering this message down your throats one more time: A team’s performance in close games simply does not mean anything. And the Cowboys are going to be a better team in 2011 — several wins better, even — based on that factor alone. Their schedule should also be easier than it was a year ago. Washington remains a bad team, but the Giants are currently in the middle of being struck down by some spiteful injury deity, as starting middle linebacker Jonathan Goff became the latest member of the defense to suffer a season-ending injury in practice on Monday. They’re not going to have a top-five defense again, and they’ll almost surely be a worse team. Last year, Dallas had to play against the NFC North (against whom they were 1-3) and AFC South (2-2), and because they won the NFC East in 2009, they had to play fellow division champions Minnesota and New Orleans in 2010, losing to both. That’s a tough slate. It turns out finishing third is more fun for your schedule, as the Cowboys will get to play Arizona and Tampa Bay as a result of their finish last season. They’re stuck playing the AFC East, but they also get a gift from the scheduling gods with four games against the NFC West. Even if the Cowboys lose to the Jets and Patriots and split their divisional schedule, they could easily run the table in their other six games. That’s 11 wins right there! There are still question marks, of course. The secondary is a work in progress, but even if cornerback Mike Jenkins doesn’t return to his Pro Bowl form of 2009, there’s no way he’ll be one of the worst starters in football again. Dallas will also likely start three new players on its offensive line who have combined for a total of four career pro games, but they’re replacing a porous, age-stricken group of veterans from last season. They really don’t have to play very well to serve as improvements. In the end, it comes down to Romo. While quarterback wins are the worst stat in professional football, the Cowboys are 39-22 since Romo took over as the starter when he actually suits up. That’s the record of a 10-plus-win team. They’re 3-7 when he’s been injured. That’s not. If Romo’s healthy and the Cowboys can muster up even a little bit of luck, they should be a playoff team. The 2010 Saints are a perfect example of how quickly a team’s turnover margin can slip. In 2009, the Saints put up a very respectable turnover margin of +11, the third-best figure in football. They had legendary ball hawk Darren Sharper pick off nine passes and Drew Brees threw just 11 interceptions all season. Why would their turnover margin fall off in 2010? Well, while we made it clear in the Patriots section that this stuff just isn’t consistent from year to year, it’s almost impossible to guess the specific macrochanges that are going to affect a team. In this case, Brees’ interception rate doubled, and when Sharper spent most of the year hobbled, nobody picked up the slack. The 2009 Saints ended 13.9 percent of opposing drives with interceptions, the third-highest rate in the league. 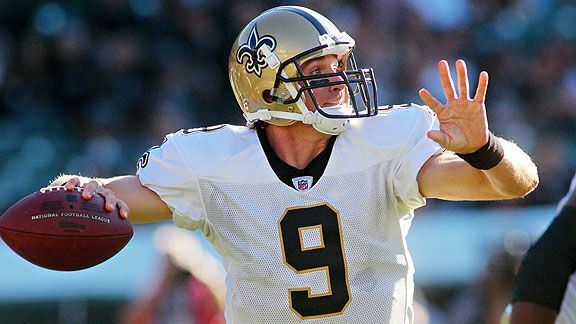 The 2010 Saints saw that figure fall to a mere 5.4 percent, which was the second-lowest rate in the league. We don’t know which Saints defender will pick up the turnover slack, but it’s extremely likely that the Saints will create more turnovers in 2011. Beyond that fact, the tricky thing about analyzing the 2010 Saints and how their performance should change in 2011 is that, well, you can really make any case you want. Let’s say you want to believe that the Saints were underrated. Well, that’s probably because people remember the 41-36 loss to Seattle in the wild-card round and don’t realize that Seattle’s had the biggest home-field advantage in football since its stadium opened in 2002.1 Or because 11-5 teams taking on 7-9 teams on the road is more of a coin flip than people realize. Since 1990, that exact matchup has happened 43 times. The 11-5 team has won just 23 of the 43 games (53.5 percent). And yes, the Seahawks faced an easy schedule, but then again, so did the Saints. That’s where we reach for the overrated side of the discussion. For a team coming off of a Super Bowl win and in the middle of a tough division, the Saints’ schedule was awfully easy. They got to play the NFC West. They also got the tougher AFC North, but the Saints at least got to play the Steelers in New Orleans. The two games against elite competition that they were assigned by virtue of their first-place finish in the NFC South ended up being against the Vikings and Cowboys, two 6-10 teams. And despite that easy string of teams, the Saints still needed some luck to get to their 11-5 mark. They outscored opposing teams by a total of only 77 points, so their Pythagorean expectation was for 10.1 wins. Furthermore, the Saints were an extraordinary 6-2 in games decided by a touchdown or less. During Brees’ previous four years with the team, the Saints had been a more mundane 12-13 in those games. That 6-2 mark won’t be happening again. What’s the deciding vote between those two camps that should push the Saints into the NFC South ascendancy, then? Injuries. Keep in mind that the Saints were down to their fifth-string halfback at points last season. The 22 guys they intended to start on the first day of training camp missed a total of 36 games, and integral role players such as Reggie Bush, Anthony Hargrove, and Usama Young would tack on another 15 to 20 games if we included them. The Saints have one of the league’s deepest rosters, so they were able to deal with the injuries, but they should be healthier this year. With the addition of star defensive tackle Aubrayo Franklin to shore up an occasionally leaky run defense, they’re the best team in the NFC South. Yes, the Texans. Don’t believe us? Just like you check your pockets for your wallet, keys, and phone before you hop out the front door every morning, we’ve gotta go through the basic statistical indicators that suggest a team will improve upon its previous record. For the 6-10 Texans, they all fit. Houston was outscored by just 37 points, so its Pythagorean expectation was for a team that should have won 7.1 games. The Texans were a relatively unlucky team, as they were able to maintain only a 3-5 record in games decided by a touchdown or less. And that’s not a sign of frequently-confused coach Gary Kubiak, as the Texans were 15-15 in these games under Kubiak before last season. The Texans struggled to stay healthy, as star middle linebacker DeMeco Ryans missed the final 10 games of the season with a torn Achilles, and the team’s two best players — then-defensive end Mario Williams and wide receiver Andre Johnson — each missed three games. 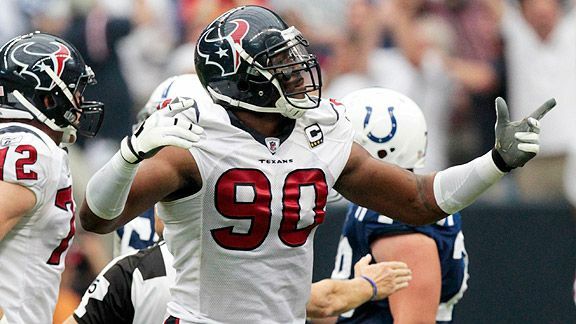 They also lost tackle Duane Brown and linebacker Brian Cushing to four-game suspensions. Including the suspensions, the Houston starters were unavailable for a combined 38 games last season. That number should fall in 2011. Disappointingly, the one unit on the roster that was able to stay really healthy was also the team’s worst: its secondary. The overmatched starters of the Houston defensive backfield missed a total of only three games, but they failed to show up for the vast majority of the season. Pick your stat. They were last in the league in passing yards allowed, next-to-last in passing touchdowns allowed, last in pass defense DVOA (Defense-adjusted Value Over Average), and first in the hearts of fantasy owners with weak spots at wide receiver. Their largesse breathed life into receivers like Roy Williams, Mike Thomas, and Seyi Ajirotutu, each of whom had 100-yard games against the Texans last season. This offseason has brought upgrades. Gone is the dismal coverage of safety Bernard Pollard, replaced by the relatively disciplined work of former Bears safety Danieal Manning. Rookie cornerback Kareem Jackson was forced to endure a year of floggings as the replacement for Dunta Robinson, but he should be better in his second season. He also won’t need to be the team’s best defensive back, as the Texans imported former Bengals star Johnathan Joseph in free agency. Joseph didn’t have the pedigree of Nnamdi Asomugha, but he’s been one of the 10 best corners in football over the past two seasons and, at 27, should still be in the prime of his career for a couple more seasons. That allowed the team to move Glover Quin from corner to safety, where his coverage skills should play up instead of down. The Texans will also need more out of their front seven. The team moved from a 4-3 to a 3-4 and brought in Wade Phillips to serve as the puppet master, but the switch is going to raise questions until it visibly works on the field. At 290 pounds, Williams is going to be one of the heaviest outside linebackers in NFL history. Will that move sap his pass-rushing ability? And if so, will the scheme change really end up benefiting the Texans? It’s a total question mark right now. Of course, the most important thing a team needs to do to challenge for a Super Bowl is make it to the playoffs, and Houston shouldn’t have a problem with that. The last week of preseason has been very friendly to the team, as Jacksonville cut David Garrard and Peyton Manning’s neck injury forced him out of the Colts’ Week 1 game against the Texans. That turns a tough contest into an easy win for Houston, and while it has to face the relatively difficult combination of the AFC North and NFC South this year, so does the rest of its putrid division. The Texans’ out-of-schedule games come against the relatively friendly combination of the Dolphins and Raiders. Picking a team to go 6-0 in its division is always a bad idea, but if any team is primed to go 6-0 in its division besides the Chargers, it’s the Texans. That alone should be enough to push them into the playoffs this year. The scariest thing about the Packers is that they were an unlucky team last season and still won the Super Bowl. Really! If they were an 8-8 team with the same sort of statistical profile, we would be touting them as the great sleeper pick of 2011. They were 10-6 but outscored their opponents by a whopping 148 points, so their Pythagorean expectation was for a 12.1-win team. That 1.5-win difference almost always results in an increase in team wins during the subsequent season. The Packers were also just 3-6 in games decided by a touchdown or less, and you’ll note that they only lost six games all season. They lost four games by three points and two by four points. That’s remarkable, and it’s a sign of how great a team they truly were; with even an average amount of luck, they would have been a 12-4 team. Strangely, though, the Packers have been terrible in those close games with Aaron Rodgers at quarterback. During his three seasons under center, the Packers are somehow 8-16 in games decided by a touchdown or less. Only the Rams and Chiefs have been worse in close games over that time frame. And after losing another close game to the Cardinals in the 2009 playoffs, the Packers went 3-0 in close games during last year’s postseason. Football is weird. The Packers were also ripped apart by injuries. Their offensive and defensive starters heading into the season combined to miss a total of 81 games. That’s not a typo. Eighty-one, as in nearly 12 times as many missed games as the Falcons’ starters skipped in 2010. Green Bay lost five starters for the remainder of the season during the first six games of the year. All of those injured players will be back besides departed middle linebacker Nick Barnett, and they’ll be competing for jobs with the backups who won a Super Bowl last season. Hold on — I think I need to move them up this list some more. So if the Packers are going to be healthier and have more luck, and they were able to win the Super Bowl without those things last season, how on earth can they be anywhere below the top spot again this year? Perhaps they shouldn’t be, but we’re always hesitant to anoint last year’s champions as the favorites to win again. Something almost always goes wrong on their way. For one, injury still has to be a concern. While they’re not likely as to lose as many players to the trainer’s room in 2011, the makeup of who they lose could have a larger impact on the team. The elite, irreplaceable players in the Packers’ lineup really stayed healthy last season. Rodgers made it through 14.5 games. Clay Matthews got through 15, even with a stress fracture in his shin that dramatically decreased his effectiveness during the second half of the season. The Packers lost each of the games that those two stars missed. They were also healthy in some key spots. Their top four wide receivers played in all 16 games, as they got a full season from Greg Jennings for the third time in his five-year career. Left tackle Chad Clifton, the team’s most essential pass-blocker, was also 16-for-16 for just the second time in the past five years. And the team’s dominant cornerback tandem of Tramon Williams and Charles Woodson managed to make it through the regular season unscathed. If there’s a part of the team that seems like it could fall off in 2011, it’s those two players. Williams suddenly emerged as a dominant cornerback in 2010 after years of inconsistent play as a nickelback and spot starter for the Packers. Williams didn’t have an elite pedigree heading into the season — remember that the Texans cut him out of training camp in 2006 as an undrafted free agent — but he pulled off a marvelous campaign. Williams may very well have just had a career year at age 27. He committed only one penalty in 2010, but he committed six pass interference penalties for 124 yards in 2009, the second-highest yardage total in football. 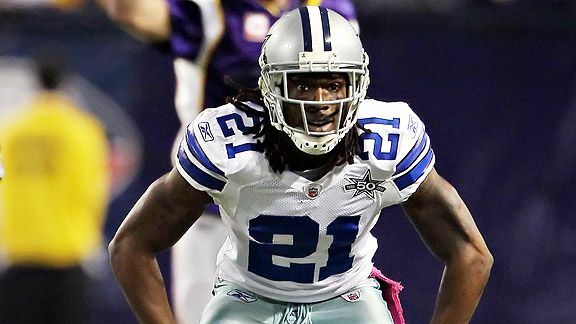 He could very well be an elite cornerback again in 2011, but he could also fall back to the pack. it just came during the first half of the Super Bowl. Woodson’s been a dominant player over the past three years, but relying on a soon-to-be 35-year-old cornerback with an injury history to stay healthy and dominant is always dangerous. Green Bay spends a disproportionate amount of time in its 2-4-5 Nickel alignment, and Woodson makes that scheme work by lining up as the slot cornerback, capable of playing the pass or the run with equal aplomb. If Woodson is ineffective or unavailable, the Packers don’t have anyone who can play that role. There might not even be anyone in football capable of playing that role the way Woodson has over the past two years. Barring some stunning season-ending injury to Rodgers in Week 1, there’s no reason to believe that the Packers will be anything but a dominant team in 2011. Even dominant teams need breaks at the right time to win a Super Bowl, though. The Packers may catch more of them during the regular season, but they may not get the swing they need to propel them back into the Super Bowl. Let’s get this out of the way first: The San Diego Chargers are not the third-best team in football. To say that they are in the top 10 is eminently reasonable; Football Outsiders pegged them as seventh in team DVOA last season. That’s totally believable. What they are is a good team with an incredible situation surrounding them. No team in football has a better shot at winning its division than the Chargers. They should be luckier than they were in 2010, and the rules have changed to eliminate some of their biggest weaknesses. But they are third on this list and not first because it is a list of teams who might win the Super Bowl. And that would involve Norv Turner winning three playoff games in a row. Before the AFC West lines were taken off the books by the Matt Cassel injury, you could find the odds of the Chargers winning the AFC West in most places at or around -300. That’s virtually unprecedented. It suggests that the Chargers will win the AFC West a full 75 percent of the time, despite the fact that they had it fall through their grasp just last season. It’s certainly no secret that special teams were the weak point of the franchise last season. You may have heard the statistic about how the Chargers led the league in offense and defense last season and have written off the idea of using statistics to tell you anything about football. The problem, of course, is that it’s a bad statistic: yardage and allowed. Teams don’t win games or lose games by allowing yards. The Chargers were second in points scored and 10th in points allowed, a much better measure of how their offense and defense actually played. As for the special teams, Football Outsiders estimates that the Chargers’ special teams cost them 50.8 points of field position last season. That’s gruesome, it’s ugly, it’s the difference between their making the playoffs and hosting a playoff game, you get the idea. It’s not going to happen again. 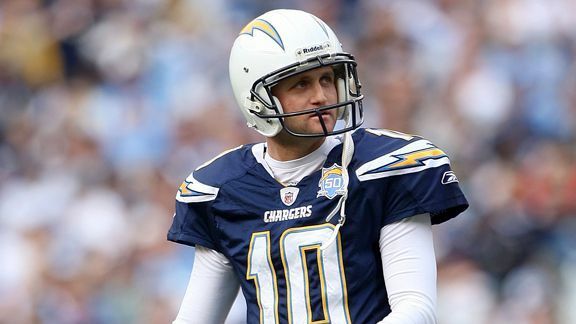 NFL teams blocked nine punts last year and four of them were against the Chargers. They’ll get some help from the new rules, too, as kicker Nate Kaeding’s accuracy on field goals has traditionally belied some truly terrible performance on kickoffs. Meanwhile, since opposing teams will be taking touchbacks, chances are they won’t score three times on kickoff returns against San Diego for the second year in a row. The Chargers would have made the playoffs in 2010 if their return units were simply bad. They should be bad-with-a-chance-of-mediocre in 2011. That will be more than enough. If the special teams improve and their luck regresses, it’s hard to see how the Chargers won’t claim the division. Philip Rivers put up MVP-caliber numbers last season while he was throwing to street free agents (Patrick Crayton) and practice squad guys (say it one more time: Seyi Ajirotutu!) for part of the year, thanks to a series of holdouts and injuries. While they have to play the AFC East and NFC North, so do the Chiefs, Broncos, and Raiders. Their two other games are against the Jaguars and Ravens, which isn’t the worst slate imaginable by any means. The only thing they have to get past is, well, Norv Turner. And even he can’t keep them from coasting to the division title this year. We’re not going to rehash the past few months here. Suffice to say, the Eagles won the offseason handily; their biggest weakness was at cornerback, and they added the second-best corner in football. Their nickelback is going to be a Pro Bowler about to enter the prime of his career. The Eagles didn’t just go HAM on cornerbacks this offseason. They went jamon iberico. But you know that already. In the meantime, their odds shortened. At the bellwether Hilton sportsbook in Vegas, they went from 12-1 to 6-1 in a matter of days. The line above is from an offshore sportsbook,2 but it values them at around 8-1. If the Eagles aren’t favored in your sportsbook of choice, they’re no worse than second or third from the top of the list. So with their biggest problem solved and a bunch of veterans onboard as part of their all-in strategy for 2011, what could prevent the Eagles from fulfilling their destiny and finally winning a title under Andy Reid? The most obvious answer, for a variety of reasons, is Michael Vick. The most tangible way Vick could impact the team is by not being available to play. 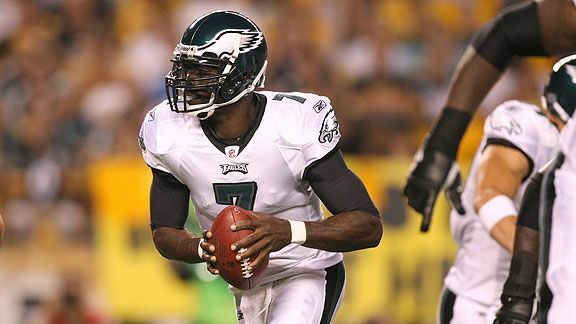 Vick is about to enter his seventh season as the primary starter for an NFL team at quarterback. In only one of those seven seasons has Vick managed to make it through the full 16-game schedule. Admittedly, he’s played in 15 games three different times, but Vick’s now missed nearly 19 percent of the games he was expected to play in as a starter. His style of play is exhilarating and essential to his success, but it’s also extremely risky. Vince Young would be one of the league’s better backups in a vacuum — remember that he threw 10 touchdowns against just three picks last year before being run out of Tennessee — but he’ll be playing in a new system and with new weapons. There would likely be a dropoff between his level of play and Vick’s. Even a short-term injury that kept Vick out for a game or two might be enough to push the Eagles from a no. 1 seed to the second spot, which would move the NFC Championship Game outside Philly. The other sure thing is that Vick’s interception rate will rise. After throwing interceptions on 3 percent of his passes during his Falcons days, Vick threw picks at a 1.6 percent rate last season, giving away just six in 372 dropbacks. There’s every reason to think that Vick’s a much better quarterback than the guy from Atlanta, but even the new-and-improved quarterback can’t make that pick rate stick. Vick averaged about 34 pass attempts per full start last season. If he stayed healthy for a full season, averaged that many passes per game, and hit that 2.5 percent interception rate, he would go from six picks in 2010 to just under 14 interceptions in 2011. On the bright side, every other improvement Vick made last year is sustainable. The offensive line has now become the biggest concern for this team. To an extent, Vick mitigates bad offensive lines by virtue of his ability to scramble, but he’s the 20th-most-frequently-sacked quarterback in league history. The Eagles clearly saw right tackle as a need position and signed former Broncos standout Ryan Harris to suit up there and defend Vick’s blindside, but Harris developed back issues and was forced into surgery. The team released him afterward, and they’re now stuck with former starting guard Todd Herremans or middling ex-starter Winston Justice in the role. Neither should or would be particularly effective. If we look back on this team and wonder what happened in a terrified manner, that’s going to be the most plausible storyline: The offensive line was terrible, Vick got knocked around and eventually injured, and Young wasn’t enough of a weapon to make up for Vick’s loss. But even after you account for the possibility of Vick losing a bit of his edge or missing time, this should still be a great football team. The Eagles get four games against the NFC West, and since the Giants have been torn asunder by injuries during the preseason, the NFC East doesn’t look all that complicated anymore. Asking their offensive line to hold up against the pass rush of our no. 1 team, though, might be a little much. You know, the team that always manages to be in the playoff hunt every year? Them? They’re our favorites. The Steelers were 12-4 with a Pythagorean expectation of 12.1 wins despite missing Ben Roethlisberger for the first four games and an offensive line for the entire season. 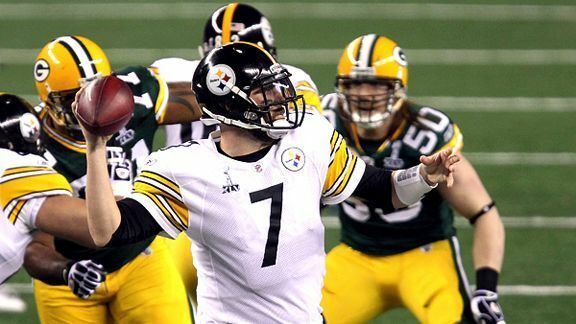 They made it to the Super Bowl with Troy Polamalu at 60 percent and even less of an offensive line, and while they got outplayed by the Packers, they were competitive in the process. We can keep this very brief: If you want to know why they’re our Super Bowl pick, look at the schedule that the gods have gifted these Pittsburgh Steelers. The Ravens will be a weaker team, so the division won’t be as tough. They get four games against the NFC West and four more against the AFC South, which looks weaker by the day. (Peyton Manning might be back in time for their Week 3 matchup, but he certainly won’t be 100 percent.) And while they have to play the Patriots at home, their other first-place matchup comes against the Chiefs. That has 13 wins written all over it, and if the Steelers win 13 games, they’re going to have the no. 1 seed in the AFC. That gives them a better shot of making it to the Super Bowl than any other team in football. And that’s why they’re the favorites. Seattle wins its average home game by 6.1 points and loses its average road game by 5.6 points. That makes the Seahawks nearly 12 full points better at home than they are on the road, per research in the Football Outsiders Almanac 2011. Offshore sportsbooks tend to offer lines that are a little friendlier than the ones offered in brick-and-mortar casinos like the Hilton. It amounts to a sketchiness tax; if you make a bet with the Hilton, there’s just about a zero percent chance that you won’t get paid if you win. Some offshore books are more reputable than others, but if the book has banking issues or goes south before you get paid, well, you’re SOL.